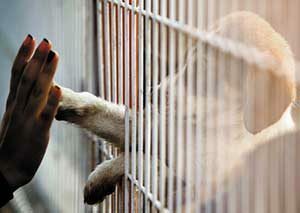 Each year, more than 6 million abandoned, lost, or unwanted cats and dogs enter U.S. animal shelters. These agencies are also often home to other types of animals, from hamsters and ferrets to birds and rabbits. 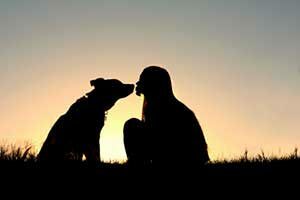 In fact, there are so many animals that need a home that nearly 1.5 million are euthanized annually. If you live in Northern Virginia and are contemplating pet ownership, please consider adoption! There are many excellent pet adoptions throughout Northern Virginia, brimming with adorable, healthy pets in search of their forever homes. Private shelters are often non-profit organizations ran by knowledgeable staff and helpful volunteers. Once you have found a pet that you’re interested in adopting, you’ll have the opportunity to get acquainted. You’ll also have the chance to bring in your other pets to ensure that there are no conflicts. At a private shelter, you may be asked to fill out an adoption application to see if you’re a good fit for pet ownership. The application will often contain basic questions such as your experience with pets and type of home. It may also ask for references. Often times the pets will be spayed or neutered before they’re available for adoption. You may be responsible for an adoption fee which covers any medical costs. The funds also act as a donation to support the organization as it continues to care for and rehome pets. Adoption fees generally range between $50 and $200, which is a fraction of the cost of pet shop purchases. Located in Arlington, the SPCA of Northern Virginia aims to end the homelessness and abuse of cats and dogs. The non-profit, volunteer-based organization is a “no-kill” shelter that rescues and rehabilitates pets. Unlike a traditional shelter, their cats live in foster homes and their dogs live in foster homes or their private kennel. Homeward Trails Adoption Center in Arlington is a non-profit organization with pet adoption opportunities in Virginia, Maryland, and Washington, DC. In addition to finding homes for cats and dogs, the adoption center also rescues pets from high-kill animal shelters. Friends of Homeless Animals (FOHA) shelter is a “no-kill” organization in Aldie. The shelter places approximately 500 cats and dogs each year, and has up to 100 dogs and 60 cats and kittens at any given time. The Humane Society of Fairfax County in Fairfax, VA is one of the area’s oldest animal shelters. This pet adoption agency fosters the humane treatment of animals through rescue, education, adoption, and community support. In addition to cats and dogs, you’ll find birds, horses, rabbits, chinchillas, mice, guinea pigs, and other critters. The Animal Welfare League has locations in Arlington and Alexandria. The private non-profit organization was founded by volunteers and provides shelter and animal control services under a contract with Arlington County. Services include low-cost spay and neuter services, humane education, fostering, veterinary assistance, and specialized medical treatment for shelter pets. Animal control and municipal shelters are similar to private shelters. These “no-frills” facilities have staff and sometimes volunteers and adoption counselors. You’ll also find a wide variety of pets to choose from. Just like at a private shelter, these animals are well-cared and provided medical care, spay and neutering, rehabilitation, socialization, and plenty of love. As these types of animal shelters are often strapped for cash, adoption fees are usually very affordable. Situated in Fairfax, VA, the Fairfax County Animal Shelter is where you’ll find adoptable puppies, dogs, kittens, cats, guinea pigs, bunnies, birds, gerbils, ferrets, snakes, and more. When you visit the shelter, you’ll have the opportunity to take a tour, speak with staff, and interact with animals waiting for homes. Located in Manassas, the Prince William County Animal Shelter is the area’s source for adoptable pets and information regarding animal welfare laws. The shelter works hard to find great homes for animals that are lost or surrendered by their owners. The animals are immediately evaluated upon arrival and are put up for adoption if found adoptable. Rescue groups can vary greatly in terms of animal availability and ease of adoption. While many rescue groups work with all domestic pets, other focus on one particular breed or one type of animal. Unlike shelters which have a public facility in which pets are kept, many rescue groups have adoptable pets that live in the homes of organization members. During the adoption process, you may be invited to visit the pet in the member’s home or in a central adoption location, such as a pet supply store. As rescue groups aim to match a pet to the perfect family, the entire process is usually more personalized. While you’re more likely to find a pet that suits you, the process can be longer and more rigorous. A Forever Home Rescue Foundation in Chantilly is a non-profit dog rescue group that strives to match canines to prospective adopters. The experienced rescuers will find a pet that meets your lifestyle and needs, whether you’re a homebody or an athlete. Are you in search of a furry friend? The Lucky Dog Animal Shelter in Arlington is a volunteer-powered non-profit organization dedicated to rescuing neglected, homeless, and abandoned animals. They also educate the community in the importance of spaying, neutering, proper nutrition, and obedience training. 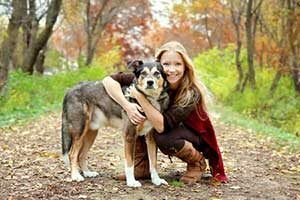 Pet adoption agencies play a crucial role in every community. These organizations provide medical care, rehabilitation, and socialization to stray animals. They also offer information, education, and assistance to families in the local area. When a pet becomes lost or is abandoned, pet adoption agencies step in to temporarily care for the animal until a permanent home can be found. In many cases, pets are matched to families interested in adoption. In other instances, lost pets find their way back home thanks to microchips and other means. Pet adoption agencies also aim to control overpopulation by spaying and neutering pets before placing them in new homes. In turn, this lowers the occurrence of disease and people injured by stray animals. Shelters also bring communities together by creating volunteer opportunities. There are many reasons to adopt a pet. Not only are you saving a life, but you’ll also get to join a great animal to your family. Adopting from a shelter or rescue group is also significantly cheaper than buying from a pet shop and you won’t be supporting puppy mills. Become a responsible pet owner and consider adoption today! And remember – if you need assistance with your pet in the Northern VA region at any time, contact our team of pet lovers here at Paw Pals! We offer pet sitting and dog walking services, so you can be sure your pets are loved and cared for even when you need to be on the road, are working late, or are taking a much-needed summer vacation. For more information, check out our About page or Meet our Team of pet lovers.